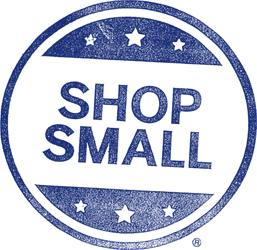 Come Shop Small with us on 11/26! This of us as a relaxing break from the chaos of the big box stores and the outlets. We will be open extended hours from 9am-4pm for your holiday shopping. Come see our amazing selection of locally made, artisan crafted jewelry, pottery, woodcrafts, fiber arts and more! Take advantage of an amazing 50% off sale on pottery by ArtFusion Pottery Studio Director Kristen VonHohen. Check our the artwork in out holiday show Frost and Fire and enjoy some complimentary wine, cider and seasonal refreshments.